I’ll bet you’ve been receiving tons of emails from companies notifying you of updates to privacy policies, thanks to impending EU data protection laws. You can read here about the GDPR (General Data Protection Regulation) enacted by the European Union in January of 2016 with a deadline of Friday, May 25, 2018. So, that’s it with the legalese. Let’s get back to making the Web a safer, more beautiful place to dwell. 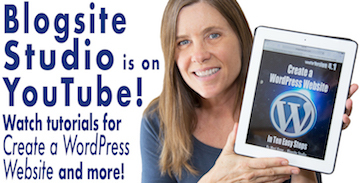 Thanks again for being part of the Blogsite Studio community! « Will your WordPress Website be GDPR Compliant by May 25th?